Located in Upper Manhattan, Harlem is one of New York’s most fabled neighbourhoods, rich in African-American cultural history. 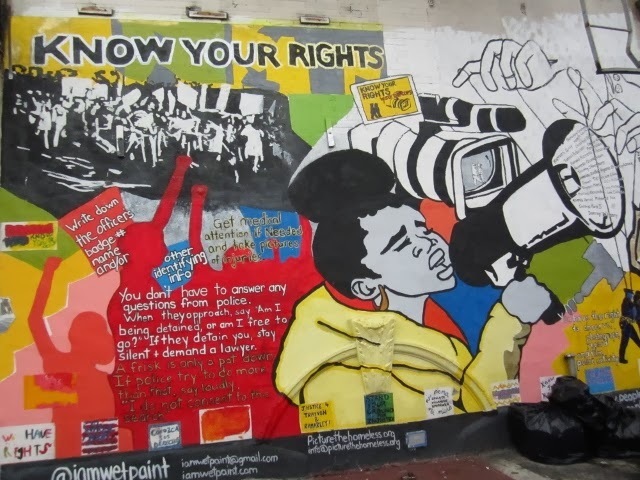 A melting pot for diverse immigrant populations from the Middle East to South America, Harlem has given birth to some of the most prominent writers, musicians, poets and performers in the entertainment industry, such as Sammy Davis Jr. and Ella Fitzgerald. THE HARLEM RENAISSANCE BALLROOM: A ballroom that in its hay day saw people doing the Lindey Hop, Charleston and jive and crackling performances by jazz legends like Duke Ellington is today in ruins. Built back in 1924, it was part of an entertainment hub that included a casino and a 900-seat theatre. It later doubled up as the home court for the nation’s first all-black professional basketball team, also called the Harlem Renaissance. However, in 1991, it was taken over by its neighbour, the Abyssinian Baptist Church in a bid to renovate the space. But it still stands today as a symbol of the Harlem Rennaissance and the African American cultural movement it helped nurture. 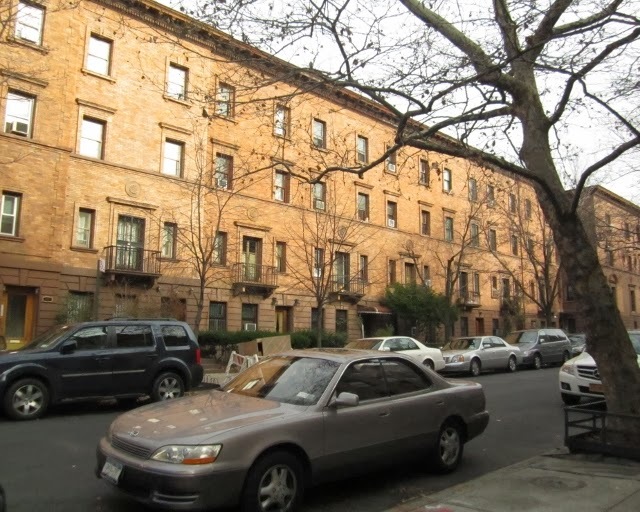 STRIVER’S ROW: Originally constructed for upper middle class whites around 1891 and 1893, Striver's Row refers to three rows of townhouses situated between 138th and 139th streets. It is said that these homes were fit with every amenity the elite homeowners required; including courtyards that comprised horse stables. 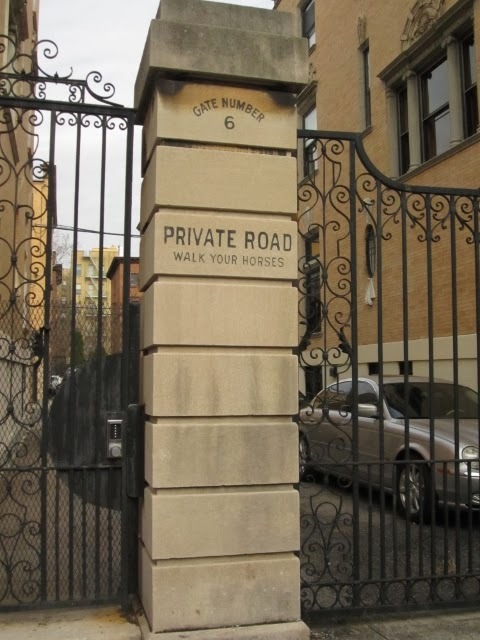 Some of the entrance gates still have the sign 'walk your horses' etched outside. Although today, the area is used mostly for parking. As for the name. 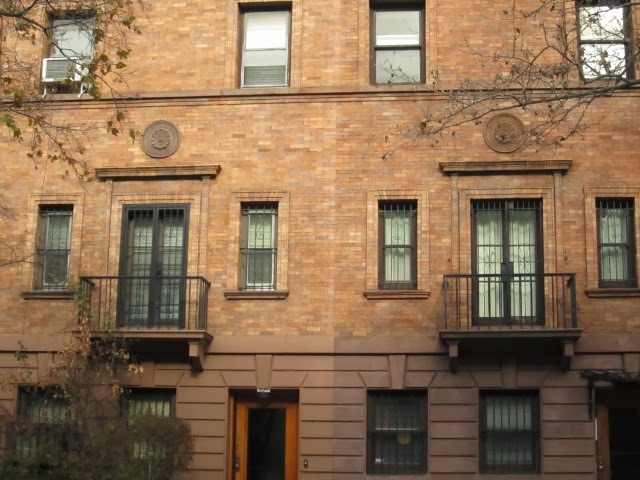 By the mid 1890's, the affluent whites began leaving Harlem as it was largely getting populated with African Americans. So, eventually these townhouses were bought by hard-working African Americans or 'strivers', thus giving it this name. APOLLO THEATER: Founded in 1934, the theater initially featured burlesque, but eventually became a spot for African American performances and a tradition began called Amateur Nights. In fact, Ella Fitzgerald won one such amateur night, the one that changed her life forever. 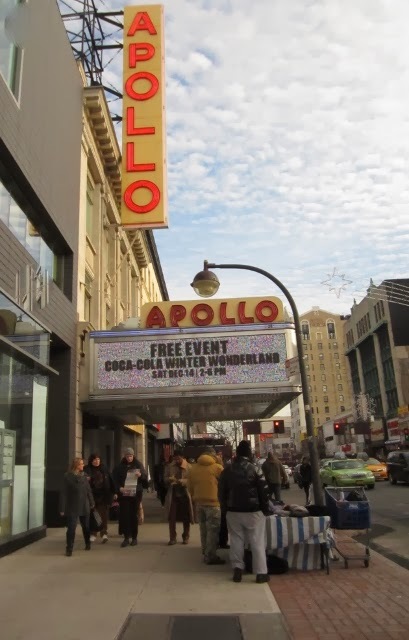 The Apollo Theater since then has been credited to playing a huge role in the emergence of not only great artists, but also new genres of music, such as jazz, swing, be-bop, R&B, gospel, blues, soul and hip-hop. Music legends such as Ella Fitzgerald, Billie Holiday, Sarah Vaughn, Sammy Davis, Jr. and James Brown all started their musical journeys at the Apollo Theater. 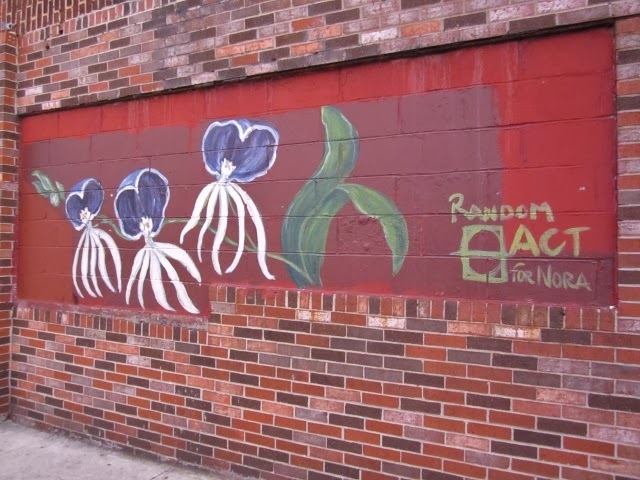 These are just a few nuggets about Harlem’s history, for more interesting facets of this neighbourhood, do take the Big Onion Tour. I promise you it will be an enlightening experience! What is the best food you’ve ever had? Most likely, something your mother or grandmother prepared—a wholesome, finger-licking dish that just cannot be replicated. But some people come pretty close. 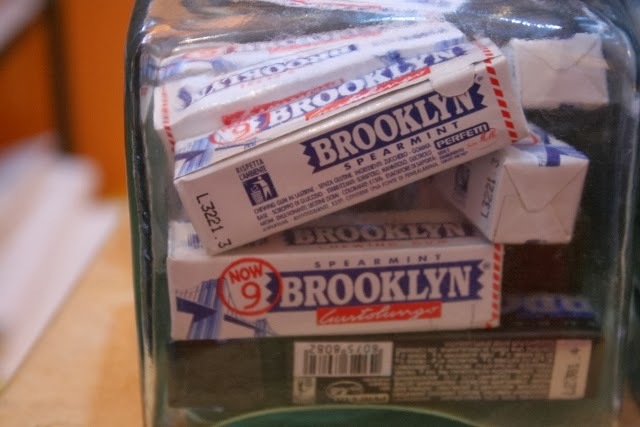 Brooklyn over the years has become a melting pot of cuisines from all over the world. 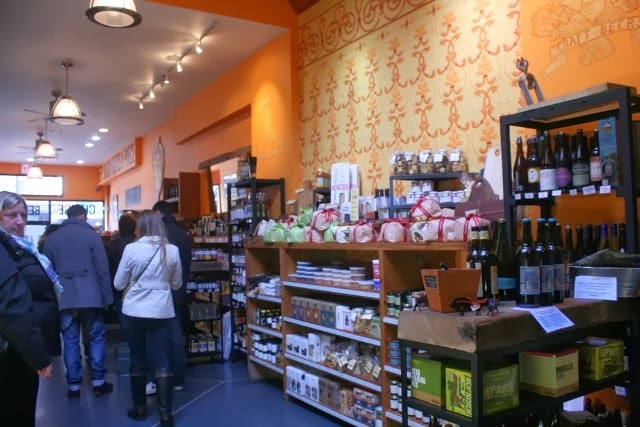 Be it Italian, Turkish, Mexican or Middle Eastern, you will find everything in Brooklyn. 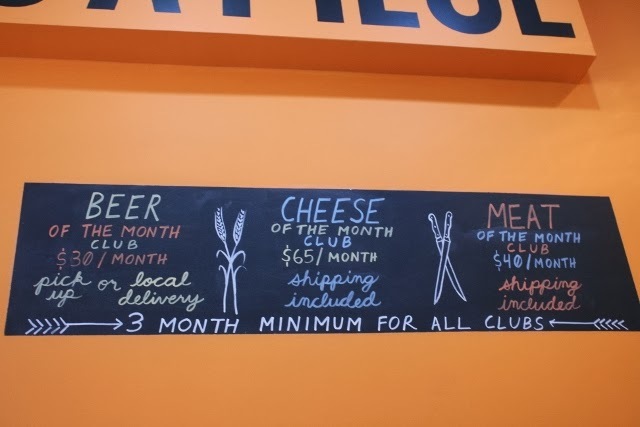 But what makes it special and differentiates it from other neighbourhoods in New York are the locally owned restaurants and shops that come with a heritage and expertise newbies don’t have. 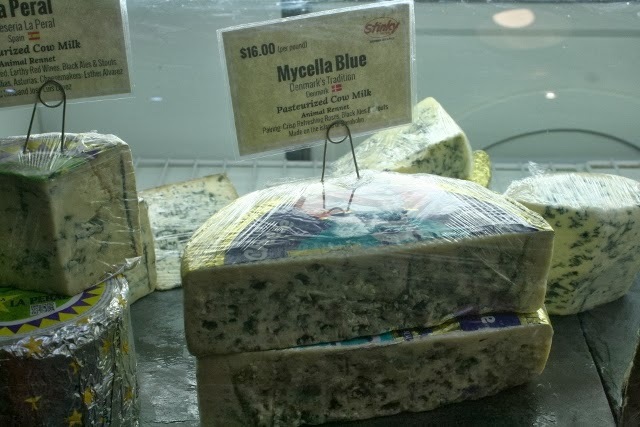 Having heard so much about these artisanal shops in Brooklyn, I decided to take a guided food tour with Urban Oyster Tours, which came highly recommended by fellow travellers. 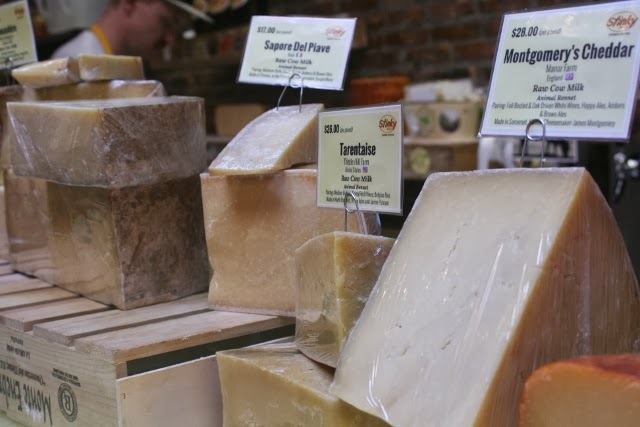 The Neighborhood Eats Tour: Brownstone Brooklyn tour—the tour’s official name—offered fun food tastings, a tour map of the neighbourhood, and a knowledgeable tour guide. And they did not disappoint! So on a really chilly Saturday morning, I hopped on a Subway train and landed at Brooklyn’s Smith Street. 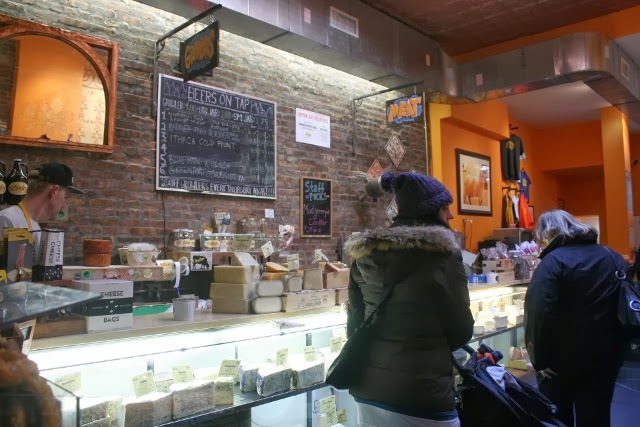 The tour began at Stinky Brooklyn that houses some of the best cheese and ham you can find in New York. 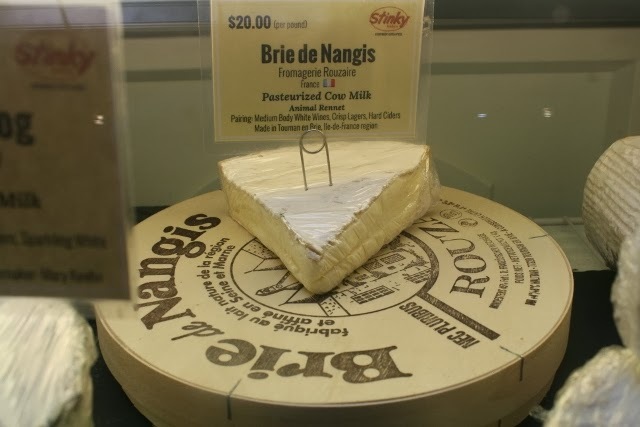 The food tasting began with an indulgent cheese sandwich and a shot of locally-crafted beer—another thing Brooklyn is gaining popularity for. While I truly relished the finger-licking tour in its entirety (believe me, we ate so very much! ), here’s a list of some of my favourite places. 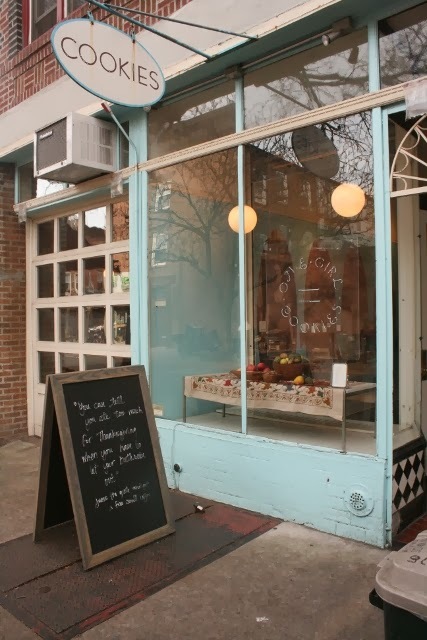 A quaint little bakery located on the very silent Cobble Hill, One Girl Cookies is the story of a girl who found inspiration in her family’s passion for food. 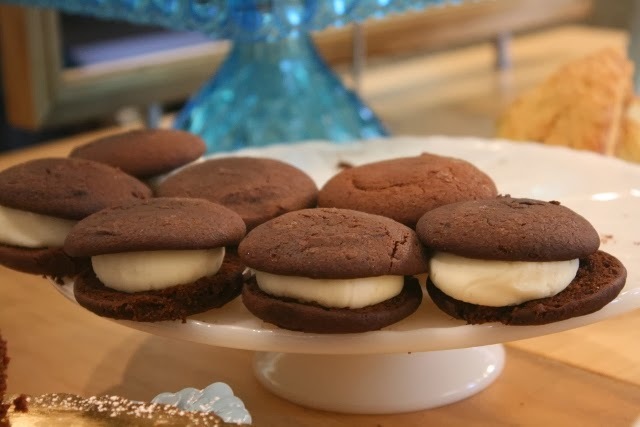 Dawn prepares cookies, whoopee pies, cakes and many more goodies in her cosy little bakery. But what is truly unique is the packaging that tells her story. All the boxes bear photographs of her ancestors, dating back several decades. Our tour guide Joe mentioned that Dawn visited her extended family in Italy and pored out trunks of old reels to find these photographs and replicate them in her design. This I suppose is her way of keeping her family’s rich heritage alive. I was truly inspired by Dawn, more so because I too hope to open my own bakery some day; having previously owned a chocolaterie. But what really made it a special visit for me was that it was my 30th birthday. 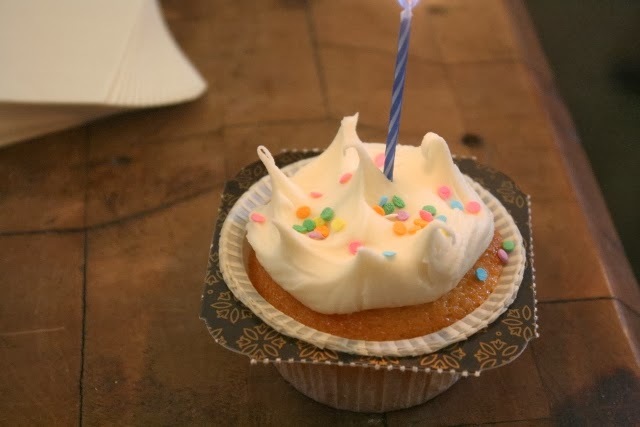 As soon as Joe found out, he silently arranged for a cupcake with a candle for me. So there I was, with a group of complete strangers singing ‘happy birthday’ to me in a place that holds my future dream. It couldn’t be more perfect. 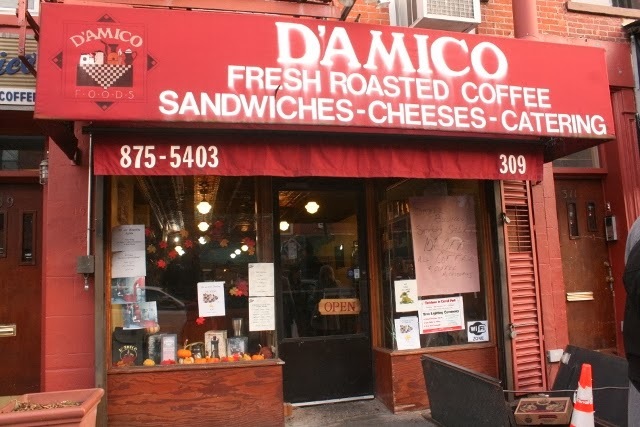 With over 50 years of expertise on the various roasts and blends of coffee, D’Amico’s sure take their coffee seriously. Its extensive coffee selection includes everything from dark and light roasts to organic coffees to a variety of flavoured coffees. You can be rest assured that you will turn into a coffee addict, if you weren’t already. A strong coffee aroma and warm smiles welcome you into the café. 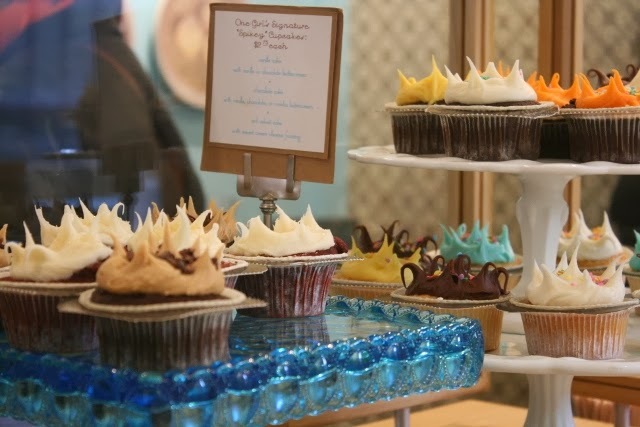 The décor is really simple, so if you’re looking for fancy cafes that serve you flavoured water and an array of cupcakes and the sort, this isn’t it. This is as homely as you can get. It feels like you’re visiting a happy family at a coffee plantation that has grown up living and breathing coffee. They understand the complete coffee-making process, straight from procuring the beans to bringing it to your table; they truly are coffee specialists. 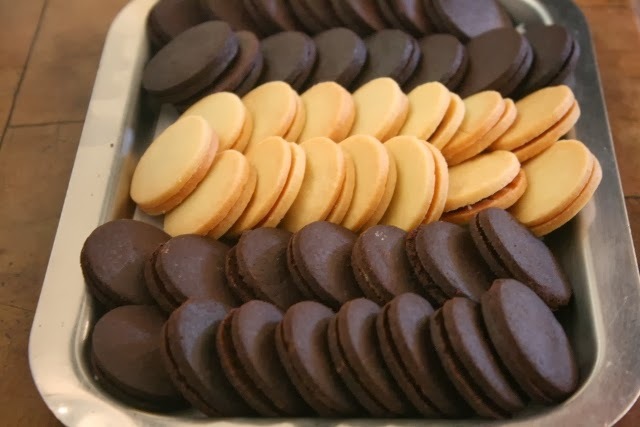 What really sets them apart though is that they offer you a customised blend to suit your tastes. You can tell them the flavours that you like and they will create your own blend of coffee at the shop. They already have a collection of coffees for the different neighbourhoods in Brooklyn called The Brownstone Collection for you to choose from. 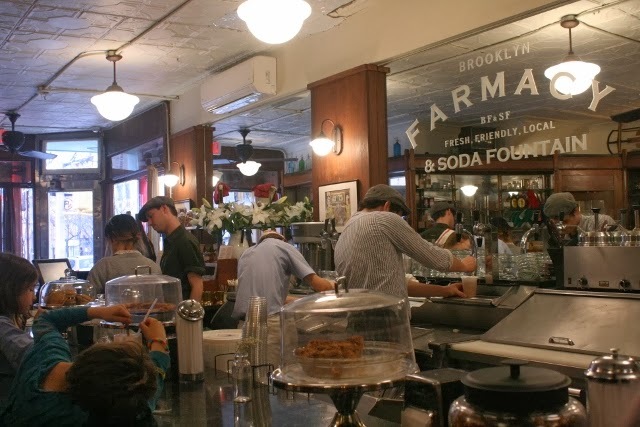 A family-owned business that began in the 1920s, The Brooklyn Farmacy & Soda Fountain boasts a rich heritage and the perfect egg cream! 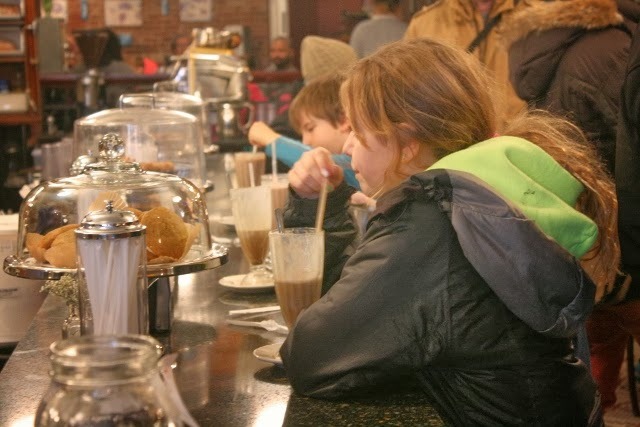 Ice cream sodas, shakes and sundaes, this 'Farmacy' will take you on a nostalgic trip and make you wish you were a child all over again! Just looking at the tall ice cream soda glasses frothing with excitement hooked me on to stay there even after the tour ended. 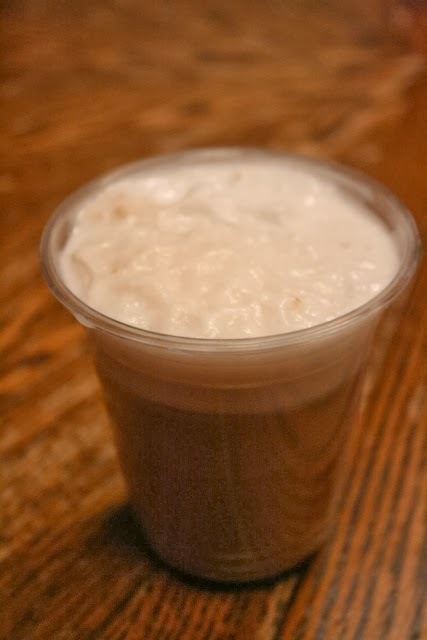 Egg cream, contrary to what it’s called, is a mix of soda or seltzer, milk and vanilla or chocolate syrup. A classic New York drink, it is super yummy and definitely a must-try! 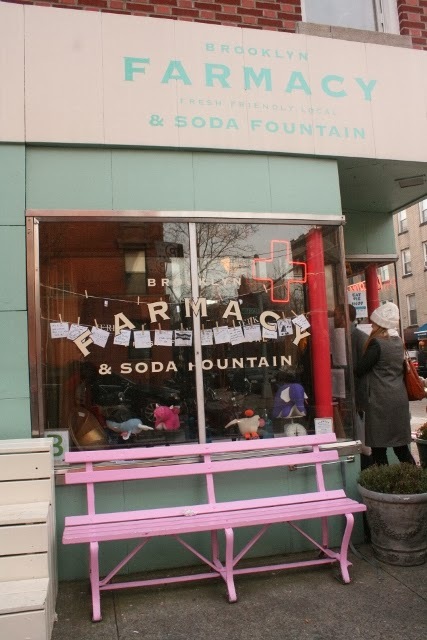 And the décor is really interesting since it’s an old pharmacy transformed into a soda parlour. Old medicine bottles, drawers that used to contain powders and potions, and a rustic brick wall—it really exudes old-world charm. I really think one of the best ways to explore a new place is by sampling its food and getting to know its residents. 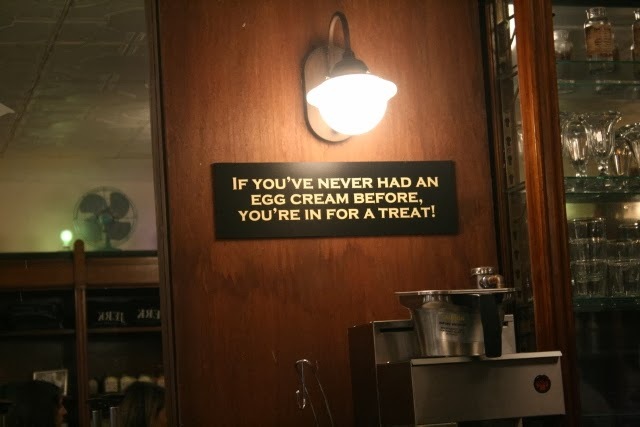 I highly recommend the Neighborhood Eats Tour - Brownstone Brooklyn by Urban Oyster. 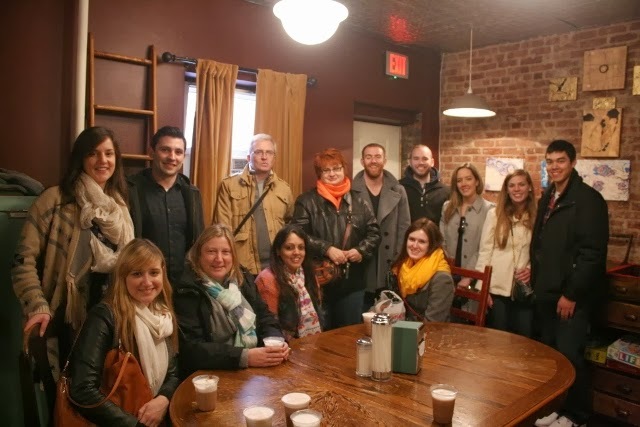 It a great way to discover Brooklyn, and also a good way of meeting like-minded travellers. There’s also the delicious food! But more than anything, what makes this tour unique is its tour guide. Joe Charles was fun, entertaining and highly knowledgeable about Brooklyn helping educate people about it.